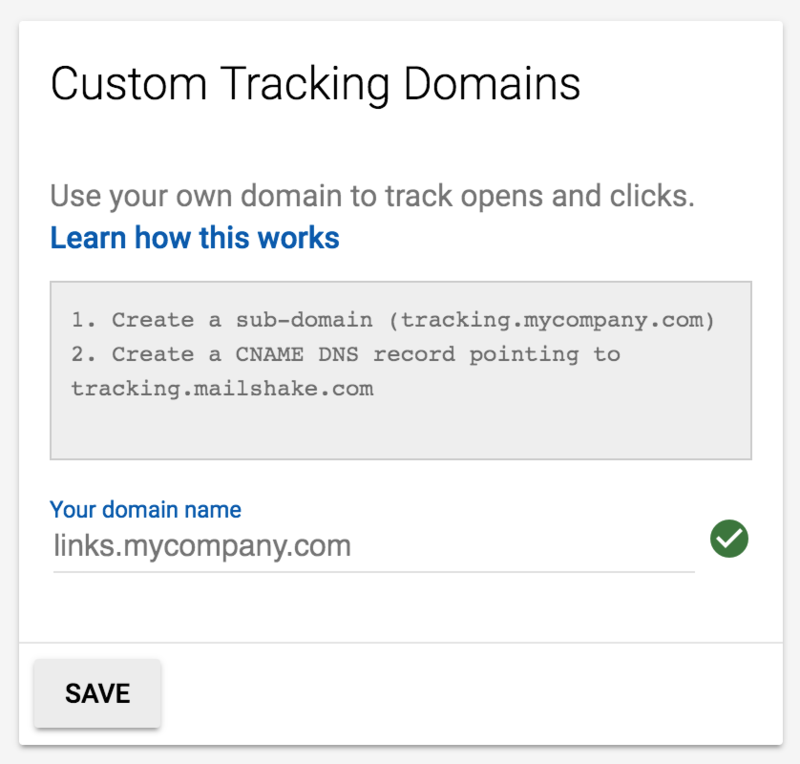 TL;DR; You can track opens and clicks with your own custom tracking domain to improve deliverability. 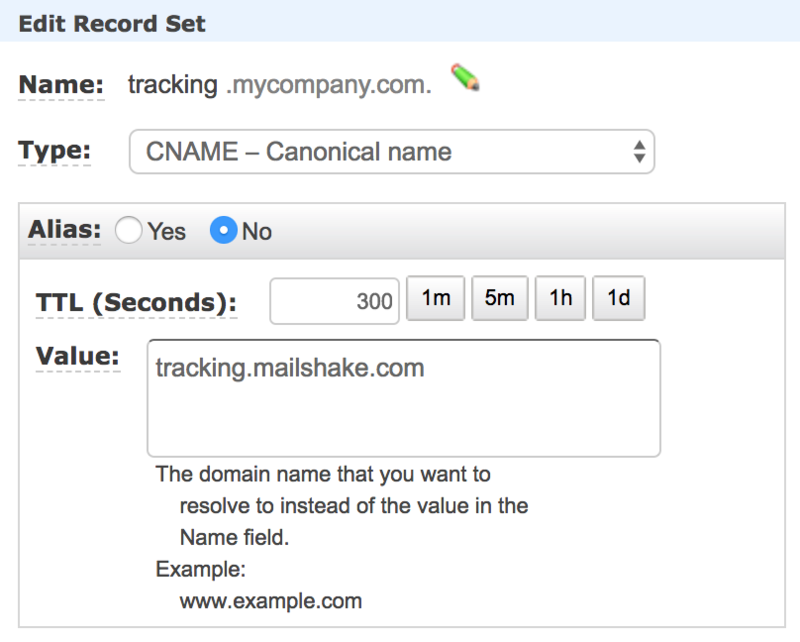 All Mailshake users track links and opens using one of Mailshake's shared domains. We monitor these domains and block abusers, but you can take tracking into your own hands by setting up your own custom domain. Google has this page that lists variety of providers (just remember to use tracking.mailshake.com instead of whatever they specify in their help pages). 3. Enter your domain in Mailshake and click "Verify"
We'll do a check of your DNS records and see if everything looks good. If this doesn't work right away, please note that it can take up to 72 hours before these kinds of changes get distributed around the Internet. That's it! 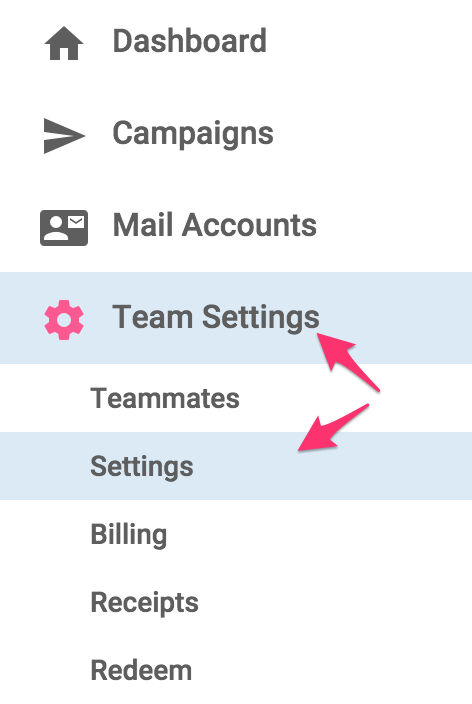 Future emails sent for your team will use this domain to track clicks and opens.